My Configuration is a Fresh new Windows 2008 R2 machine Ready to create a 4 node cluster. When I run the Cluster validation Process it was all OK just create my cluster name With a IP and no storage. I did this in Powershell and it failed Why ? access Denied on creating the cluster . Step One : Cluster Validation Reports all fine no major errors here. 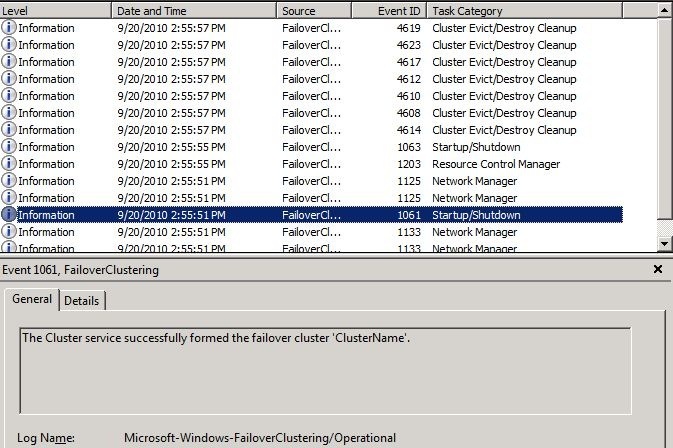 In powershell “admin mode” I did create a cluster / error creating cluster access denied. Event logging : there are special eventlogs for clustering So I checked them. So It looks OK no errors <> Dive Deeper. 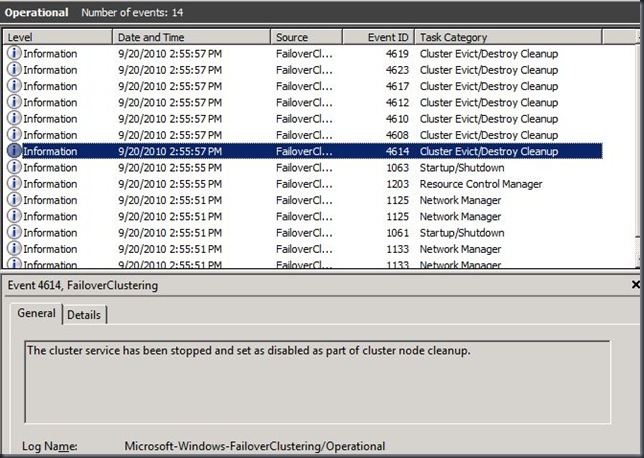 The Cluster service successfully formed the failover cluster ‘ClusterName’. So I can create the Cluster but after that I rolls back Whay ? 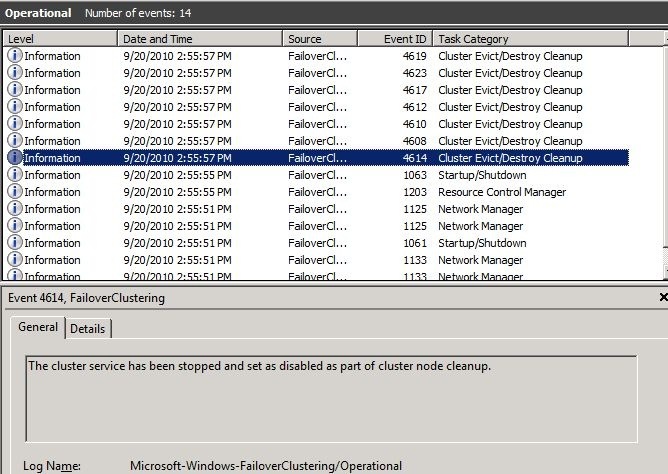 The cluster service has been stopped and set as disabled as part of cluster node cleanup. So Access is denied Event ID 4657 I could use http://www.bing.com but there must be a hint to solve this. There is also a Event ID 6 kerberos issues ? MaxTokenSize OK checked the register on this server. NO MaxTokenSize there. Who need this kind of Groups this is Windows 2008 R2 beyond the Kerberos ticket eh yeh but your Domain controller is still a windows 2003 x32 Box. So I put in the MaxTokenSize key rebooted and created the cluster. Case solved. How do I change the metric off my cluster shared volumes network ? Well If you don’t want to use the autometric then you need to change it but where can I change it. 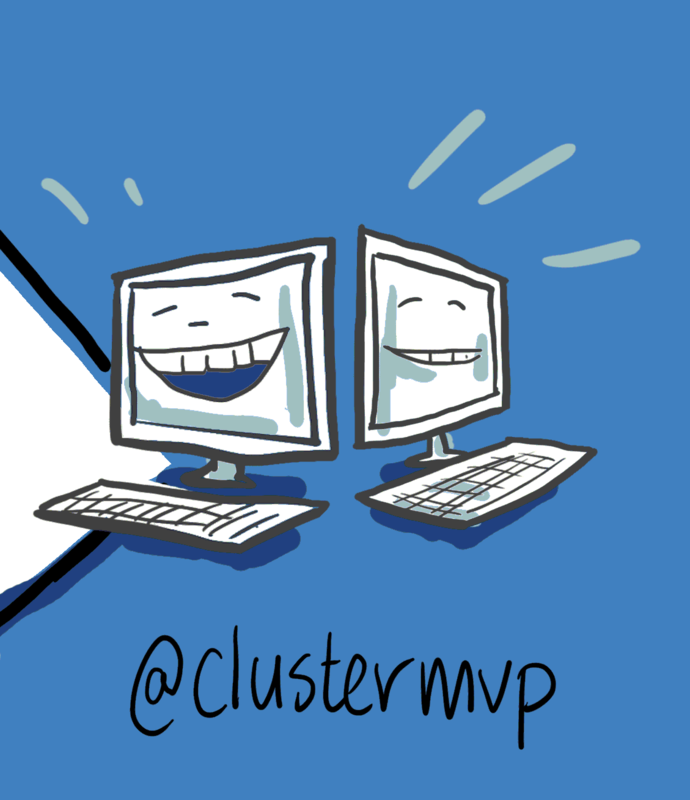 When you enable Cluster Shared Volumes, the failover cluster automatically chooses the network that appears to be the best for CSV communication. 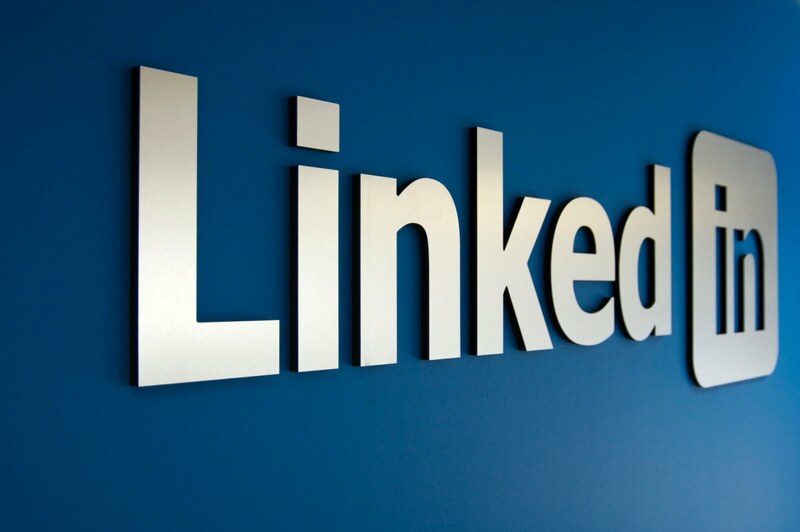 However, you can designate the network by using the cluster network property, Metric. The lowest Metric value designates the network for CSV and internal cluster communication. The second lowest value designates the network for live migration, if live migration is used (you can also designate the network for live migration by using the failover cluster snap-in). When the cluster sets the Metric value automatically, it uses increments of 100. For networks that do not have a default gateway setting (private networks), it sets the value to 1000 or greater. For networks that have a default gateway setting, it sets the value to 10000 or greater. Therefore, for your preferred CSV network, choose a value lower than 1000, and give it the lowest metric value of all your networks. Another property, called AutoMetric, uses true and false values to track whether Metric is being controlled automatically by the cluster or has been manually defined. To set the Metric value for a network, use the Windows PowerShell cmdlet Get-ClusterNetwork as described in the following procedure. For more information about the cmdlet, see Get-ClusterNetwork (http://go.microsoft.com/fwlink/?LinkId=143787). A table of cluster networks and their properties appears (ft is the alias for the Format-Table cmdlet). For the Role property, 1 represents a private cluster network and 3 represents a mixed cluster network (public plus private). To review the network properties, repeat step 2. MaxUserPort is used to limit the number of dynamic ports available to TCP/IP applications. It’s never going to be an issue affecting inbound connections. MaxUserPort is not the right answer if you think you have an inbound connection problem. To further simplify: it’s typically going to limit the number of outbound sockets that can be created. Note: that’s really a big fat generalization, but it’s one that works in 99% of cases. If an application asks for the next available socket (a socket is a combination of an IP address and a port number), it’ll come from the ephemeral port range allowed by MaxUserPort. Typically, these "next available" sockets are used for outbound connections. The default range for MaxUserPort is from 1024-5000, but the possible range is up to 65534. So, why would you change MaxUserPort? In this type of scenario, you can run out of ephemeral ports (between 1024 and MaxUserPort) very quickly, and the problem will scale with the load applied to the system, particularly if a socket is acquired and abandoned with every request. When a socket is abandoned, it’ll take two minutes to fall back into the pool. Discussions about how the design could scale better if it reused sockets rather than pooling tend to be unwelcome when the users are screaming that the app is slow, or hung, or whatever, so at this point, you’d have established that new request threads are hung waiting on an available socket, and just turn up MaxUserPort to 65534. Once MaxUserPort is at 65534, it’s still possible for the rate of port use to exceed the rate at which they’re being returned to the pool! You’ve bought yourself some headroom, though. So how do you return connections to the pool faster? Glad you asked: you start tweaking TcpTimedWaitDelay. By default, a connection can’t be reused for 2 times the Maximum Segment Lifetime (MSL), which works out to 4 minutes, or so the docs claim, but according to The Lore O’ The Group here, we reckon it’s actually just the TcpTimedWaitDelay value, no doubling of anything. TcpTimedWaitDelay lets you set a value for the Time_Wait timeout manually. As a quick aside: the value you specify has to take retransmissions into account – a client could still be transferring data from a server when a FIN is sent by the server, and the client then gets TcpTimedWaitDelay seconds to get all the bits it wants. This could be sucky in, for example, a flaky dial-up networking scenario, or, say, New Zealand, if the client needs to retransmit a whole lot… and it’s sloooow. (and this is a global option, as far as I remember). 30 seconds is a nice, round number that either quarters or eighths (depending on who you ask – we say quarter for now) the time before a socket is reusable (without the programmer doing anything special (say, SO_REUSEADDR)). If you’ve had to do this, at this point, you should be thinking seriously about the architecture – will this scale to whatever load requirements you have? Which is what techy types call "blocking" or "hanging". Nice*! Sure you can wait till the NEXT version of windows in 201x. But can you wait ?, can you ? ,are you sure ? What about the security and all the benefits of windows 2008R2 you want to skip this? maybe now but I’m sure by the end of this year you need windows 2008R2 if you want to keep up with the market. Do you still use IE6 ? no you are running the latest version because the security is better. And what about the migration/adoption time in your organization ? . Think Proactive ! if you have software assurance you are already paying for the windows 2008R2 release so why not upgrading. Our company always waits for the service pack , well there is a service/feature pack it is still in beta but it brings new stuff for windows 2008R2 play with it and get ready and avoid a forced migration because you need some app that is only running on windows 2008R2. Below are several links to the Windows 2008R2 resources. Support for Windows 2003 ends on July 13, 2010! The Windows 2000 End-of-Support Solution Center is a starting point for planning your migration strategy from Windows 2000 to Windows 7 or Windows Server 2008 R2. For more information please see the Microsoft Support Lifecycle Policy. A direct upgrade from Windows 2000 to Windows Server 2008 R2 is not supported. The resources below provide information about migration paths. Visit the Windows Server Home Page for product information, trial software, purchasing options, technical resources, case studies and more. Before upgrading your system from Windows 2000 to Windows 2008 R2, be sure your hardware meets the Windows Server 2008 R2 system requirements. Assuming your hardware meets the requirements for Windows Server 2008 R2, upgrading is a two-step process. You must first upgrade your system to Windows Server 2003 SP2 (or later) and then upgrade to Windows Server 2008 R2. This document outlines supported and unsupported upgrade paths for editions of the Windows Server 2008 R2 operating system. The Microsoft Assessment and Planning (MAP) Toolkit is a powerful inventory, assessment, and reporting tool that can securely assess IT environments for various platform migrations and virtualization without the use of any software agents. NOTE: The oldest operating system supported by this tool is Windows Server 2003 SP2. 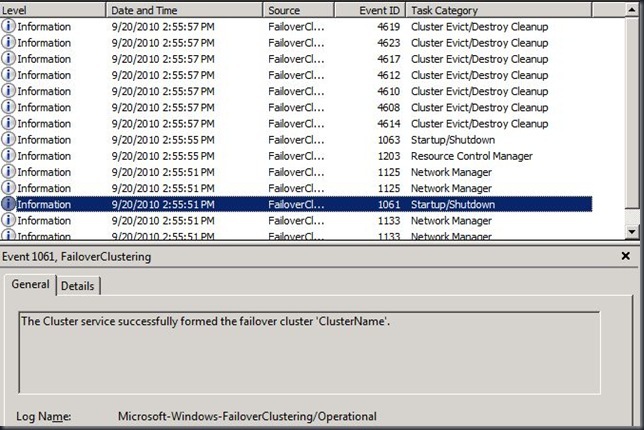 Administrators can use Windows Server Migration Tools to migrate server roles, features, operating system settings, and other data and shares to computers that are running Windows Server 2008 R2. NOTE: The oldest operating system supported by this tool is Windows Server 2003 SP2. This document provides is a list of deprecated features and functionalities in Windows 7 and Windows Server 2008 R2 and is intended for IT professionals who are updating operating systems in a commercial environment. Microsoft Deployment Toolkit 2010 (MDT 2010) provides a common console with the comprehensive tools and guidance needed to efficiently manage deployment of Windows 7 and Windows Server 2008 R2. The Windows 7 SP1 and Windows Server 2008 R2 SP1 Betas are concurrent releases that we’ve packaged together in a single download for a more streamlined and cost effective deployment. Businesses can begin realizing the advancements of the Windows Server platform for virtualization through two key features: Dynamic Memory and RemoteFX. Read the Windows Server 2008 R2 Technical Whitepaperfor a technical overview of Windows Server 2008 R2 SP1 Beta release features and benefits. Download the Windows Server 2008 R2 SP1 Beta Reviewer’s Guide to evaluate the core features of Windows Server 2008 R2 SP1 Beta release in your environment. Windows Server 2008 R2 Hyper-V introduces a new feature, called Dynamic Memory, in the Windows 7 SP1 and Windows Server 2008 R2 SP1 Beta releases. It allows customers to achieve increased density when they’re consolidating physical servers into a virtual realm, providing them with predictable performance and linear scalability. With Dynamic Memory, IT administrators are able to pool available memory on a physical host and then dynamically dole that memory out to virtual machines running on the host, based on current workload needs. For a technical overview of the new Dynamic Memory feature, download the Dynamic Memory Technical Overview whitepaper. RemoteFX, a key feature of Remote Desktop Services (RDS) lets IT administrators deliver a rich graphics experience to end-users through virtualized desktops. Using new protocol enhancements between Windows Server 2008 R2 and Windows 7, end users can now access virtual machines on a wide variety of target devices and still get a rich graphics experience with server-side graphics processing. Learn more about RemoteFX and download the Remote Desktop Services Datasheet.